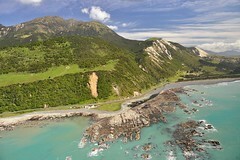 Taxpayers in and around Kaikoura will have some reprieve, as their tax filing requirements are eased during the recovery. On November 22nd the Minister of Revenue Michael Woodhouse announced that special measures have been enacted to ease the filing burdens of taxpayers impacted by the earthquake in Kaikoura. The Minister explained that following an Order in Council the IRD will waive the Use-of-Money-Interest on any late payments, which are a result of the earthquake. The waiver is currently scheduled to last until January 31st, although it is not impossible that the deadline may be extended further if such a step is deemed necessary. The Minister also noted that the Inland Revenue has opted to drop its own late-filling and late-payment penalties for anyone affected by the recent quakes.